Riot allows teams to communicate across a wide range of collaboration apps. 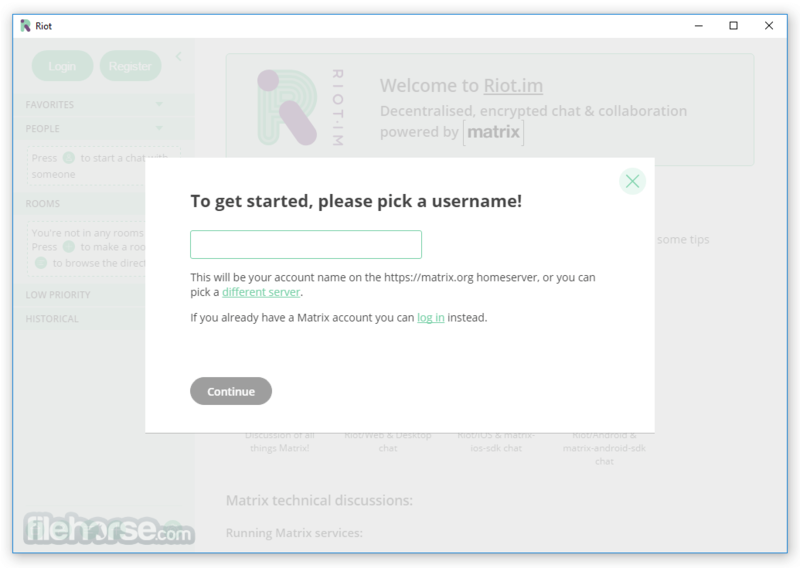 If some team members use Riot while others use IRC, Slack or Gitter, Riot will allow these team members to seamlessly work together. Riot offers the richest network of communication bridges. No one should control your communication and data but you. 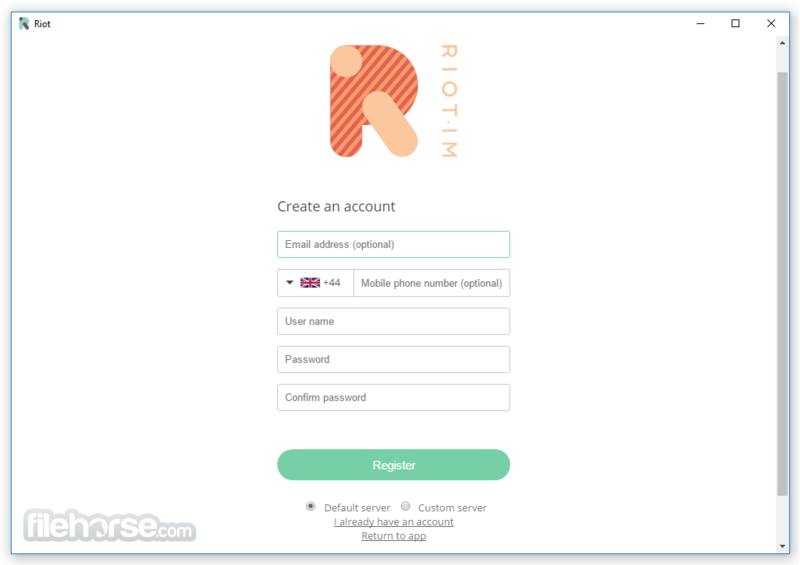 Riot lets you run your own server, and provides users and teams with the most advanced crypto ratchet technology available today for a decentralized secure Internet. Riot is entirely open source: all the code is published on GitHub (Apache License) for anyone to see and extend. This means teams can customize or contribute to the code and everyone can benefit from the speed of community innovation. Riot is built on top of Matrix. Matrix is an open network for secure, decentralized communication delivering a community of users, bridged networks, integrated bots and applications plus full end-to-end encryption. No limits on features, group size or usage for public rooms! Efficient. Clutter free. Riot knows how to go unnoticed. Free your mind, relax, and let your creativity express itself. Integrations (coming soon) for Basecamp, Invision, Zeplin and more bring updates right into your team room for easy tracking. 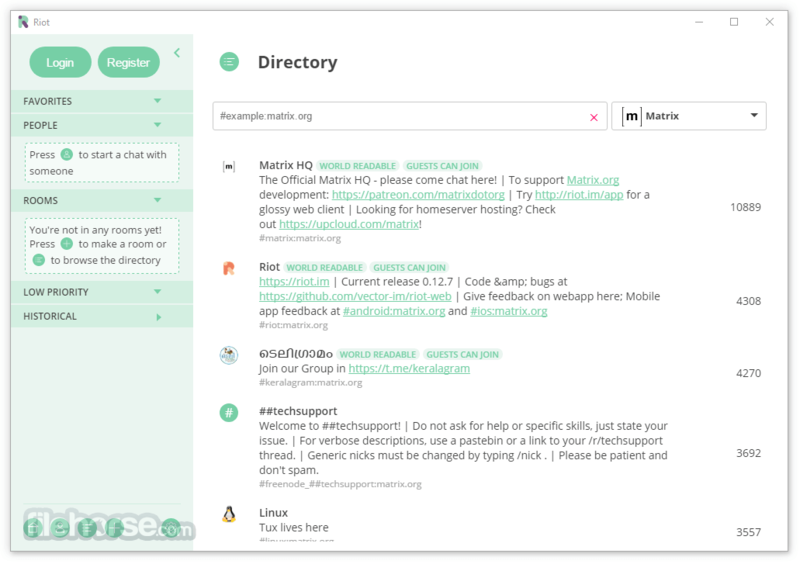 Guest access, interoperability with Slack and other networks let you easily reach your customers through one simple, elegant interface. We all know the communication problems you can find in even the smallest businesses. With Riot, get everyone painlessly on the same page - without them having to give up their existing tools! Need to get a bunch of different people quickly on the same page? 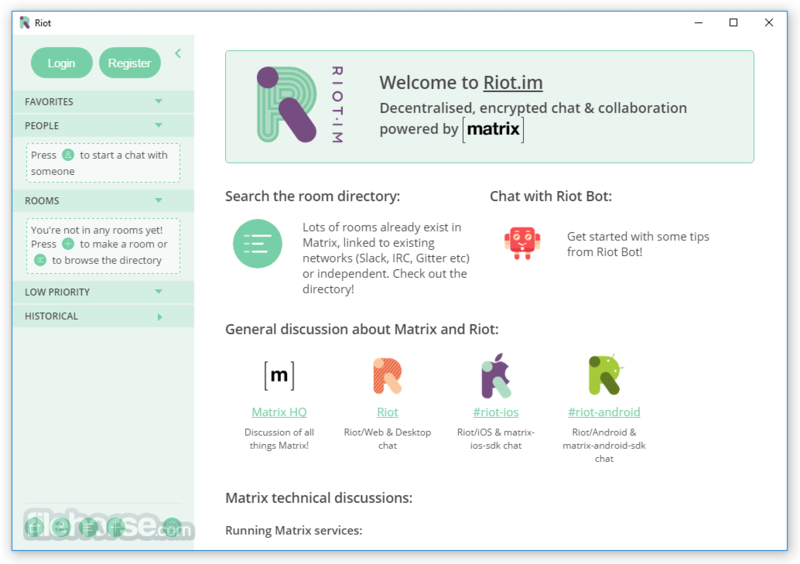 It might be collaboration between teams, companies, families, clubs... Riot's guest access and interoperability lets them plug into their preferred tools and get up and running rapidly.